Emma looks forward to the day when she can stop running from her past both of them. But when Declan Burke decides he wants his wife back, there's nowhere on the planet she can hide. One man could help her, but he's the person Emma most dreads confronting: Noah Tucker. When she finally returns to face him, Emma discovers that Noah has moved on and another woman is raising their daughter. Emma will stop at nothing to reveal the truth and prove she isn t the woman they thought she was. Even if it means she winds up dead. Or worse, reborn. 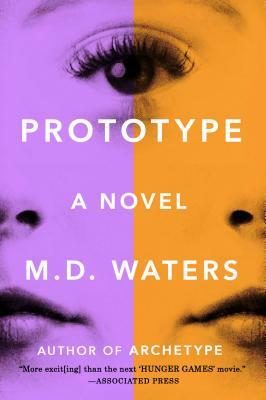 M. D. WATERS is the author of Archetype. She lives in Maryland.